Engaged, empowered patients – a learning health care system is anchored in patient needs and perspectives and promotes the inclusion of patients, families, and other caregivers as vital members of the continuously learning care team. Read that carefully. A lot of people who work in medicine don’t yet know about this report, and many who do haven’t yet had it sink in. A perfect example is Medicare, with their well-meaning paternalistic project “Partnership for Patients.” Note: it’s a partnership for patients, which is not something you’d say if you thought of patients as someone who’s on your team. Well, in February I was invited to attend (as a participating audience member) a really good workshop at the Institute of Medicine, putting their money where their mouth is – they sponsored several patients to be in the audience (including me), in addition to having speeches by excellent patients like Kelly Young of RAWarrior. Plus, the event was moderated by Christine Bechtel of the National Partnership for Women and Families, whose work as advocates for the patient view I’ve lauded, including the acknowledgements of my book Let Patients Help. And what did they call the workshop? The event’s website, with the full proceedings and discussion, is here. 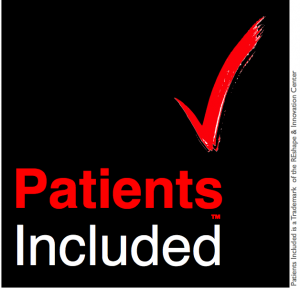 … how about electing some patient voices to membership in the IOM? I can think of 1000 ‘harrumph’ replies that come to mind of anyone with an M.D., but the bottom line is – you’re right. Let’s have them do it.